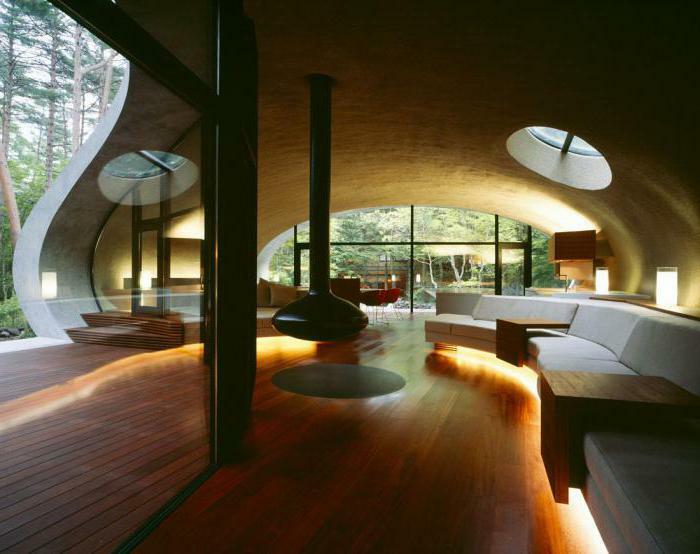 Organic architecture is a philosophy, based on the idea of harmonic coexistence of man and the environment. The founder of this style was the American architect F. L. Wright, who created his own school, where future architects are trained in the 21st century. Any architecture is created according to certain physical and aesthetic natural laws, and according to the rules of geometric constructions in the Euclidean coordinate system. Unlike traditional objects, constructed in rectangular shapes, in the organic the basis is a concept of designing buildings in a single living complex with the surrounding landscape and nature. Task of organic architecture (organic architecture lat.) in that form of the structure and its placement must be in harmony with the natural landscape. 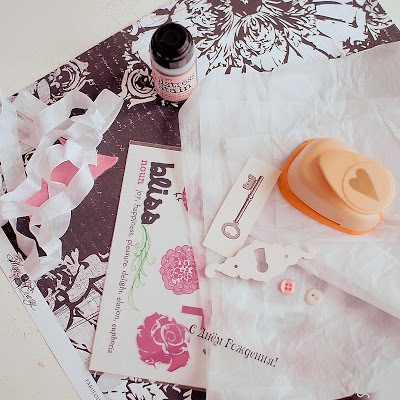 Use only natural materials. the use of natural landscape. the Founder of this style is the American architect Frank Lloyd Wright, who developed and added the theory of his mentor Louis Sullivan. 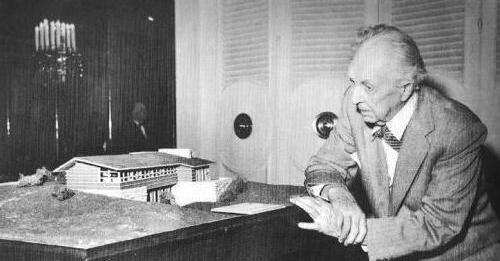 Frank Lloyd Wright (1867-1959) 70 years of creativity he created and brought to reality the theory of the composition of architecture as an organic, holistic space that is absolutely inseparable from its environment. The idea of continuity is based on the principle of free planning and is widely used by modern architects. project F. L. Wright, was built country houses and homes and also public buildings, the creation of which he used the principle of flowing spaces. During his creative life he managed to design 1141 building, including not only houses, but also churches, schools, museums, offices, etc. - 532 project was implemented, and 609 are in the unfinished stage. in addition to the architecture, F. L. Wright worked on the design of furniture, fabrics, art glass, glassware and silver. He also became famous as a teacher, writer and philosopher, having written 20 books and numerous articles, actively promoted his ideas by lecturing in various regions of the United States and Europe. One of the projects Wright on the development of the decentralization of American cities, for example, Broadacre, continues to be debated by scientists and writers of the 21st century. Main building materials used: stone, bricks, wood and concrete. Their natural texture — this is an additional decorative technique, which creates the impression of integrity and natural object and nature. For example, a concrete wall fits as a rock in the middle of the forest. A stone facade is often made of rough blocks, floors — of rough granite; if the logs are then only rough and uncouth. One of the main ideas of organic architecture — the integrality or wholeness, is designed to create the impression of a built facility as a whole, not divided into parts. Welcome minimalism and the desire for simplicity, the smooth flowing one room into another. That is Wright an idea to put together dining room, kitchen and a living room with a large open-plan. Instead of a large amount of decor and variety in the color design used a limited number of materials in a large area of the building and receive maximum extent of glazing. the New doctrine of the evolution of architecture was formulated by L. Sullivan subject to the provisions of the biological Sciences in the 1890-ies. Later it came and was refined by his successor, F. L. Wright, in the 20th century. do not use the decoration in the interior. the Purpose of creating any object in an organic style in architecture is the implementation of all levels of Maslow's pyramid, especially the most important of them — self-development of the person for whom the building will be constructed. concept of F. L. Wright, of great importance in the design and construction of the house attached to the personal contact with the customer and create for him such a living space which would satisfy all the spiritual, social, familial, physiological needs and provided the necessary security. the Career of F. L. Wright started out in the Chicago architectural firm “Adler and Sullivan», founded by the ideology of the Chicago school. Then, in 1893, he founded his own firm, which is engaged in designing their first houses. Already in his initial work, there is a clear perception of spatiality, in which he all home «respective” along the ground. In the beginning of his career, Wright engaged in the construction of private houses according to the customer orders. Most known for his "Prairie Houses" which was built in 1900 and 1917 and created using the principles of organic architecture of Wright. Objects architect created, using the ideal of the unity of building and nature. All houses are open the horizontal plan of the roof outside the building, decorated with raw natural materials on the site are broken by terraces. The type of Japanese temples facades are rhythmically dissected their frames, many houses are built in the shape of a cross, where the centre is the fireplace, and around — an open space. Interior architect also designed independently, including the furnishings and decor, with a goal of seamlessly entering them in the space of the house. The most famous house: the Grounds, Martin, Robie house etc. In the early 20th century the popularity of F. L. Wright has achieved in Europe, where he released in 1910-1911 two books about the new organic style in architecture, which was the beginning of its spread among European architects. your Own home, or “Taliesin West" (Taliesin),, F. L. Wright built in his style in 1911, and he became the most prolonged project, which was repeatedly rebuilt and altered. The house was built of local limestone among the hills of the North-Western part of Wisconsin, in the valley, which previously belonged to relatives of his family. The name comes from the name of an ancient Welsh druid and translates as “a luminous peak”. 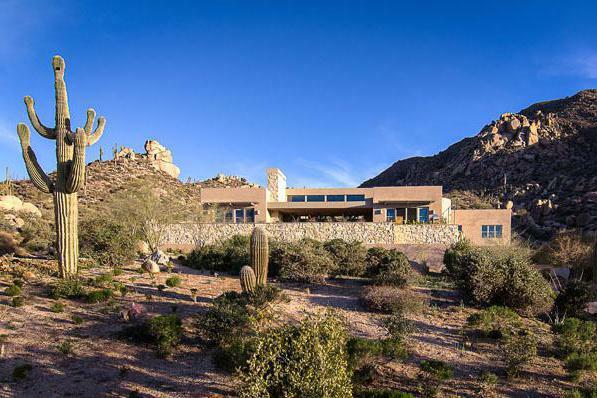 “Taliesin West" was designed for all the principles of organic architecture on a hillside surrounded by trees. 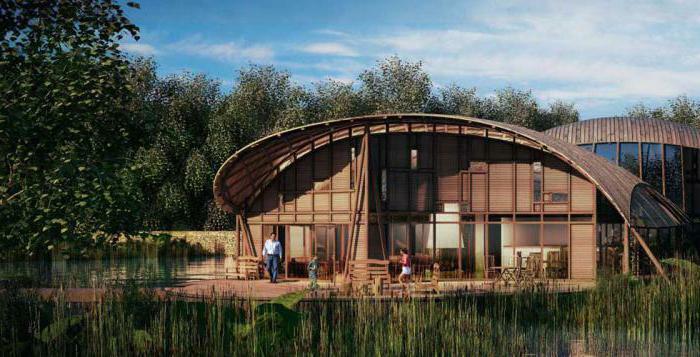 The building embodies the idea of harmonious unity of man and nature. Horizontal window openings interspersed with creeping rows of roofs and wooden railings, which serve as inter-story fence. The interior of the house was created by the owner and decorated with a collection of Chinese porcelain, antique Japanese screens and artwork. “Taliesin” twice there were fires in 1914 and 1925, and each time the house was rebuilt. The second time, along with Wright in revival houses were attended by students who studied at his school. the Official name was established in 1932 educational institutions - "school of architecture of F. L. Wright's" but during the life of the organizer it was called Telesystem partnership, which was attended by young people wishing to learn the principles of organic architecture of the 20th century. Here it was arranged workshops where future doctors were trained themselves to handle limestone, to cut trees and produce the necessary details for construction. Another “Taliesin West West” was founded in Arizona, where they built workshops, educational and residential buildings for students, and later — a library, cinema and theater, canteen and other necessary buildings. Guests described the complex "Oasis in the desert”. Many students Wright continued to work on various projects of the architect, the other — went and founded his own architectural firm. In 1940 the Fund was established by F. L. Wright, who still runs his architectural school and prepares students for the degree of master of architecture. the founder of a new architecture, F. L. Wright, had a turbulent personal life: for the past 92 years, he managed 4 times to get married and had many children. His first wife in 1889, became Catherine Lee Tobin, who bore him 6 children. In 1909 he left his family and went to Europe with the wife Mamah Botwinick Cheney. After returning to the U.S. they settled in, built his own house "Taliesin”. In 1914, a mentally ill servant in the absence of the host kills his wife and 2 children and burns their house. a few months Later after the tragedy, Wright met his admirer M. Noel, and married her, but their marriage lasted only a year. From 1924 to the end of his life he was next to his 4th wife, Olga Ivanovna Lazovic-Winzenberg that they got married in 1928 and had a daughter. After his death in 1959, the ‘Olgivanna” for many years he managed the Fund. World famous F. L. Wright brought built them to order the Kaufman family country home in Pennsylvania built over a waterfall. The project was implemented in the years 1935-1939, when the architect started the construction to use concrete construction and learned to connect them with the romance of the surrounding landscape. having Learned about the decision of the architect to erect a building almost over a waterfall, civil engineers definitely came to the conclusion that it will not last long, because the water was flowing from under the Foundation. To meet the requirements of the client, Wright further strengthened the building's steel supports. Meaning this structure has made an enormous impression, which helped the architect to increase the interest among customers. Building is a composition of concrete terraces, vertical surface made of limestone and placed on supports over the water. Fallingwater stands on a cliff, part of which remained inside and used as interior details. House attraction, which still surprises used construction technologies, was reconstructed in 1994 and 2002, when for strength were added to a steel support. In the years 1916-1922, the architect participates in the construction of the hotel “Imperial” in Tokyo, in which he widely used the ideas of the integrity of structural elements that helped the building to stand during the earthquake of 1923. In 1940-50-ies, Wright uses his style for public buildings in the United States. 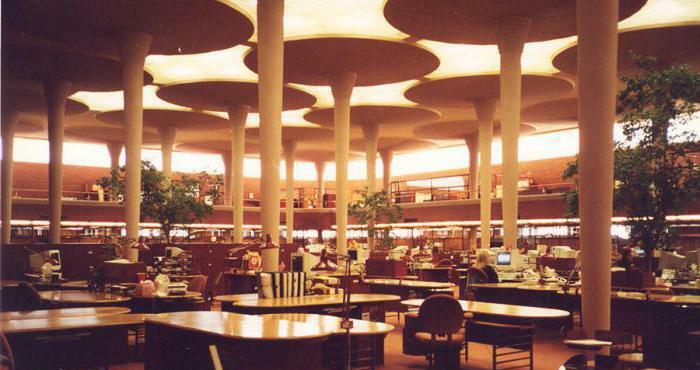 The most famous examples of organic architecture are considered to be the headquarters of “Johnson wax”, located in the city of Racine (Wisconsin EA.) 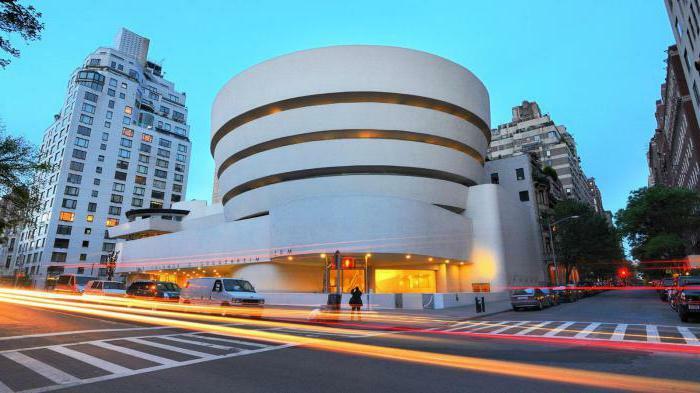 and S. Guggenheim Museum in new York (1943-1959). structural basis for the Central hall of “Johnson wax” — “tree” columns extending up. The same structure is repeated in the laboratory, where all the rooms are clustered around the “barrel” with the elevators, and slabs combined in the form of squares and circles. Lighting through the transparent glass tube. Apotheosis of architectural creativity Wright was the building of the Solomon R. Guggenheim Museum, which was designed and built for 16 years. The project is based on an inverted spiral, and inside a structure like a sink with a glass courtyard in the centre. The tour of the exhibition, the architect needs to pass from the top down: take the lift to the roof, visitors then descend gradually downward spiral. However, in the 21st century the Museum has refused this idea, and the exposure now look standard, starting from the entrance. 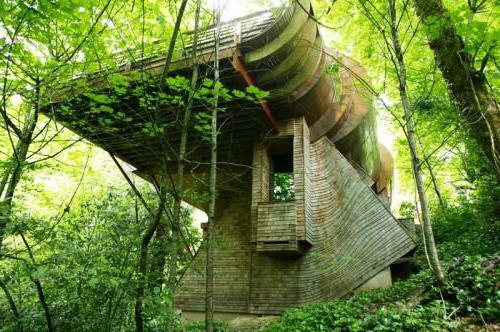 the Revival of modern organic architecture in the design and construction of buildings contribute to architects from many countries of Europe: Germany, Norway, Switzerland, Poland, etc. All of them were designed by F. L. Wright principles organic unity of space and nature, enriching their creativity with modern architectural currents and embodying the philosophical and psychological ideas of the construction of real buildings as living objects intended for comfortable and harmonious living of people.